The following biographies reflect the 2018 Proxy Statement (as of October 24, 2018). Ms. Burns, 60, has been a member of the Board of Directors since November 2003. She has served as the Center Fellow and Strategic Advisor to the Stanford Center on Longevity at Stanford University since August 2012. She served as the Chief Executive Officer of the Retirement Policy Center sponsored by Marsh & McLennan Companies, Inc. from October 2011 to February 2014. From September 2006 to October 2011, Ms. Burns served as Chairman and Chief Executive Officer of Mercer LLC, a global leader for human resources and related financial advice and services. She assumed that role after joining Marsh & McLennan Companies, Inc. in March 2006 as Chief Financial Officer. From May 2004 to January 2006, Ms. Burns served as Chief Financial Officer and Chief Restructuring Officer of Mirant Corporation, where she successfully helped Mirant restructure and emerge from bankruptcy. In 1999, Ms. Burns joined Delta Air Lines, Inc. assuming the role of Chief Financial Officer in 2000 and holding that position through April 2004. 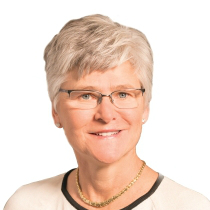 She began her career in 1981 at Arthur Andersen LLP and became a partner in 1991. Ms. Burns also currently serves on the boards of directors of Anheuser-Busch InBev SA/NV, Etsy, Inc. and The Goldman Sachs Group, Inc. She previously served as a director of Wal-Mart Stores, Inc., ending in 2013 and Alexion Pharmaceuticals, Inc., ending in 2018. 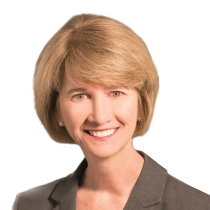 Ms. Burns provides to the Board of Directors expertise in corporate finance, accounting and strategy, including experience gained as the chief financial officer of three public companies. Through her experience gained as chief executive officer of Mercer, she brings expertise in global and operational management, including a background in organizational leadership and human resources. Ms. Burns also has experience serving as a public company outside director. Mr. Capellas, 64, has been a member of the Board of Directors since January 2006. He has served as founder and Chief Executive Officer of Capellas Strategic Partners since November 2012. He served as Chairman of the Board of VCE Company, LLC from January 2011 until November 2012 and as Chief Executive Officer of VCE from May 2010 to September 2011. Mr. Capellas was the Chairman and Chief Executive Officer of First Data Corporation from September 2007 to March 2010. From November 2002 to January 2006, he served as Chief Executive Officer of MCI, Inc. (“MCI”), previously WorldCom. From November 2002 to March 2004, he was also Chairman of the Board of WorldCom, and he continued to serve as a member of the board of directors of MCI until January 2006. Mr. Capellas left MCI as planned in early January 2006 upon its acquisition by Verizon Communications Inc. Previously, Mr. Capellas was President of Hewlett-Packard Company from May 2002 to November 2002. Before the merger of Hewlett-Packard and Compaq Computer Corporation in May 2002, Mr. Capellas was President and Chief Executive Officer of Compaq, a position he had held since July 1999, and Chairman of the Board of Compaq, a position he had held since September 2000. Mr. Capellas held earlier positions as Chief Information Officer and Chief Operating Officer of Compaq. Mr. Capellas also currently serves as the chairman of the board of directors of Flex Ltd. He previously served as a director of MuleSoft, Inc., ending in 2018. 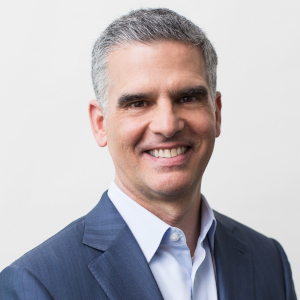 Mr. Capellas brings to the Board of Directors experience in executive roles and a background of leading global organizations in the technology industry. Through this experience, he has developed expertise in several valued areas including strategic product development, business development, sales, marketing, and finance. Mr. Garrett, 60, has been a member of the Board of Directors since April 2018. Mr. Garrett served as Executive Vice President and Chief Financial Officer of Adobe Systems Incorporated from February 2007 to April 2018. From January 2004 to February 2007, Mr. Garrett served as Senior Vice President and Chief Financial Officer of the Software Group of EMC Corporation. From August 2002 to January 2004 and from 1997 to 1999, Mr. Garrett served as Executive Vice President and Chief Financial Officer of Documentum, Inc., including throughout its acquisition by EMC in December 2003. Mr. Garrett also currently serves on the board of directors of GoDaddy Inc. and Pure Storage, Inc. He previously served as a director of Informatica Corporation, ending in 2015 and Model N, Inc., ending in 2016. 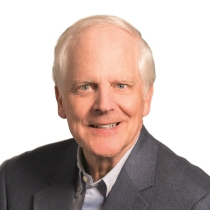 Mr. Garrett brings to the Board of Directors extensive history of leadership in finance and accounting in the technology industry, including experience in the transformation and transition to the cloud. Mr. Garrett also has experience as a public company outside director. Dr. Johnson, 61, has been a member of the Board of Directors since August 2012. Dr. Johnson has served as the chancellor of the State University of New York since September 2017. From January 2015 to September 2017, Dr. Johnson served as the Chief Executive Officer of Cube Hydro Partners, LLC, a clean energy company, and a joint venture between Enduring Hydro, a company she founded in January 2011 and I Squared Capital, a private equity firm. From May 2009 to October 2010, Dr. Johnson served as Under Secretary of Energy at the U.S. Department of Energy. Prior to this, Dr. Johnson was Provost and Senior Vice President for Academic Affairs at The Johns Hopkins University from 2007 to 2009 and Dean of the Pratt School of Engineering at Duke University from 1999 to 2007. Previously, she served as a professor in the Electrical and Computer Engineering Department, University of Colorado and as director of the National Science Foundation Engineering Research Center for Optoelectronics Computing Systems at the University of Colorado, Boulder. She holds 119 U.S. and international patents and has received the John Fritz Medal, widely considered the highest award given in the engineering profession. Dr. Johnson was inducted into the National Inventors Hall of Fame in 2015 and she is also a member of the National Academy of Engineering. Dr. Johnson also currently serves on the board of directors of The AES Corporation. She previously served as a director of Boston Scientific Corporation, ending in 2017. Dr. Johnson brings to the Board of Directors an engineering background as well as expertise in science, technology, business, education and government. In addition, she has leadership and management experience, both in an academic context as chancellor, provost and dean of nationally recognized academic institutions and in a corporate context as a board member of public technology companies. Mr. McGeary, 68, has been a member of the Board of Directors since July 2003. He served as Chairman of Tegile Systems, Inc. from June 2010 to June 2012. From November 2004 to December 2009, he served as Chairman of the Board of BearingPoint, Inc. and also was interim Chief Executive Officer of BearingPoint from November 2004 to March 2005. BearingPoint filed for protection under Chapter 11 of the U.S. Bankruptcy Code in February 2009 and its plan under Chapter 11 was declared effective as of December 30, 2009. Mr. McGeary served as Chief Executive Officer of Brience, Inc. from July 2000 to July 2002. From April 2000 to June 2000, he served as a Managing Director of KPMG Consulting LLC, a wholly owned subsidiary of BearingPoint, Inc. (formerly KPMG Consulting, Inc.). From August 1999 to April 2000, he served as Co-President and Co-Chief Executive Officer of BearingPoint, Inc. From January 1997 to August 1999, he was employed by KPMG LLP as its Co-Vice Chairman of Consulting. Prior to 1997, he served in several capacities with KPMG LLP, including audit partner for technology clients. Mr. McGeary is a Certified Public Accountant and holds a B.S. degree in Accounting from Lehigh University. 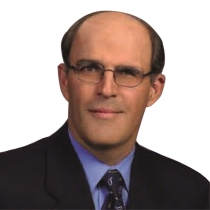 Mr. McGeary also currently serves on the boards of directors of PACCAR Inc. and Raymond James Financial, Inc.
Mr. McGeary brings to the Board of Directors a combination of executive experience in management and technology consulting. He also has expertise in leading talented teams, and skills in finance, accounting and auditing with technology industry experience. Mr. Robbins, 52, has been a member of the Board of Directors since May 2015. He has served as Chief Executive Officer since July 2015. He joined Cisco in December 1997, from which time until March 2002 he held a number of managerial positions within Cisco’s sales organization. Mr. Robbins was promoted to Vice President in March 2002, assuming leadership of Cisco’s U.S. channel sales organization. Additionally, in July 2005 he assumed leadership of Cisco’s Canada channel sales organization. In December 2007, Mr. Robbins was promoted to Senior Vice President, U.S. Commercial, and in August 2009 he was appointed Senior Vice President, U.S. Enterprise, Commercial and Canada. In July 2011, Mr. Robbins was named Senior Vice President, Americas. In October 2012, Mr. Robbins was promoted to Senior Vice President, Worldwide Field Operations, in which position he served until assuming the role of Chief Executive Officer. Mr. Robbins also currently serves on the board of directors of BlackRock, Inc.
Mr. Robbins brings to the Board of Directors extensive industry, company and operational experience acquired from having served as Cisco’s CEO since 2015, and prior to that from having led Cisco’s global sales and partner teams. He has a thorough knowledge of Cisco’s segments, technology areas, geographies and competition. 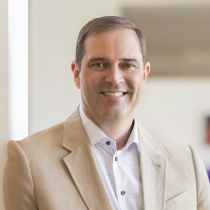 He has a proven track record of driving results and played a key role in leading and executing many of Cisco’s investments and strategy shifts to meet its growth initiatives. 63, has been a member of the Board of Directors since September 2009 and previously served on the Board of Directors from September 1998 to July 2003. In April 2003, he became CEO designate of Vodafone Group Plc and served as its Chief Executive Officer from July 2003 to July 2008. He also served as a member of the board of directors of that company from 1999 to 2008. From July 2001 to January 2003, he was Chief Executive Officer of Accel-KKR Telecom. He was the Chief Executive Officer of InfoSpace, Inc., and a member of its board of directors from April 2000 to January 2001. He was the Chief Executive Officer of the USA/Asia Pacific Region for Vodafone AirTouch Plc from July 1999 to April 2000. From February 1997 to July 1999, he was the President of AirTouch Communications, Inc. Prior to that, from April 1994 to February 1997, he served as President and Chief Executive Officer of AirTouch International. Mr. Sarin joined AirTouch Communications, Inc. in 1994 as Senior Vice President Corporate Strategy and Development upon its demerger from Pacific Telesis Group, which he joined in 1984. Mr. Sarin also currently serves on the boards of directors of Accenture plc and The Charles Schwab Corporation. Mr. Sarin served as a Senior Advisor at Kohlberg Kravis Roberts & Co. from October 2009 to October 2014. 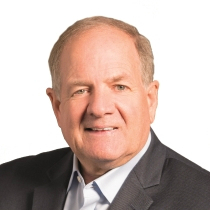 He previously served as a director of Safeway, Inc., ending in 2015 and Blackhawk Network Holdings, Inc., ending in 2018. In 2010, Mr. Sarin was named an Honorary Knight of the British Empire for services to the communications industry. 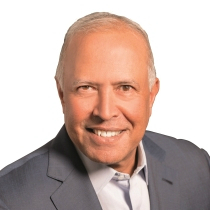 Mr. Sarin provides to the Board of Directors a telecommunications industry and technology background, as well as leadership skills, including through his global chief executive experience at Vodafone Group Plc. He also provides an international perspective as well as expertise in general management, finance, marketing and operations. Mr. Sarin also has experience as a director, including service as an outside board member of companies in the information technology, banking, financial services, and retail industries. Mr. Saunders, 48, has been a member of the Board of Directors since March 2017. Mr. Saunders has served as CEO and President of Allergan plc since July 2014. He has been a board member of Allergan plc since July 2014 and has served as its Chairman since October 2016. He previously served as Chief Executive Officer and President of Forest Laboratories, Inc. from October 2013 until July 2014 and had served as a board member of Forest Laboratories, Inc. beginning in 2011. In addition, Mr. Saunders served as Chief Executive Officer of Bausch + Lomb Incorporated, a leading global eye health company, from March 2010 until August 2013. From 2003 to 2010 Mr. Saunders also held a number of leadership positions at Schering-Plough, including the position of President of Global Consumer Health Care and was named head of integration for the company’s merger with Merck & Co. and for Schering-Plough’s acquisition of Organon BioSciences. Before joining Schering-Plough, Mr. Saunders was a Partner and Head of Compliance Business Advisory Group at PricewaterhouseCoopers LLP from 2000 to 2003. Prior to that, he was Chief Risk Officer at Coventry Health Care and Senior Vice President, Compliance, Legal and Regulatory at Home Care Corporation of America. Mr. Saunders began his career as Chief Compliance Officer for the Thomas Jefferson University Health System. 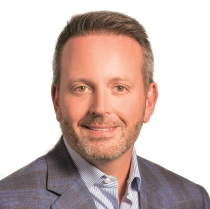 Mr. Saunders brings to the Board of Directors his extensive leadership experience, including as chief executive officer of two global healthcare companies in addition to financial, strategic and operational experience. He is a natural innovator and leader with a deep understanding of business transformation. Mr. West, 63, has been a member of the Board of Directors since April 1996. He is a founder and partner of Emerging Company Partners LLC, which was formed in January 2004 and is a capital investor and provider of advisory services for technology firms. He served as Chief Operating Officer of nCUBE Corporation, a provider of on-demand media systems, from December 2001 to July 2003. Prior to joining nCUBE, he was the President and Chief Executive Officer of Entera, Inc. from September 1999 until it was acquired by Blue Coat Systems, Inc. (formerly CacheFlow Inc.) in January 2001. From June 1996 to September 1999, he was President and Chief Executive Officer of Hitachi Data Systems, a joint venture computer hardware and services company owned by Hitachi, Ltd. and Electronic Data Systems Corporation. Prior to that, Mr. West was at Electronic Data Systems Corporation from November 1984 to June 1996. Mr. West previously served as a director of Autodesk, Inc., ending in 2016. Mr. West’s experience in the information technology industry includes a variety of leadership and strategic positions, which have provided him with accumulated expertise in operational management, strategy, finance, and experience as an outside board member and audit committee member. Mr. West is a member of the National Association of Corporate Directors and was named to the NACD Directorship 100 in 2018. He is also a frequent speaker on audit committee and cybersecurity related issues. In addition, Mr. West has knowledge of Cisco acquired through more than 20 years of service on the Board of Directors. You may automatically receive Cisco Systems financial information by email. At Cisco Systems Inc., we promise to treat your data with respect and will not share your information with any third party. You can unsubscribe to any of the investor alerts you are subscribed to by visiting the ‘unsubscribe’ section below. If you experience any issues with this process, please contact us for further assistance. By providing your email address below, you are providing consent to Cisco Systems Inc. to send you the requested Investor Email Alert updates.